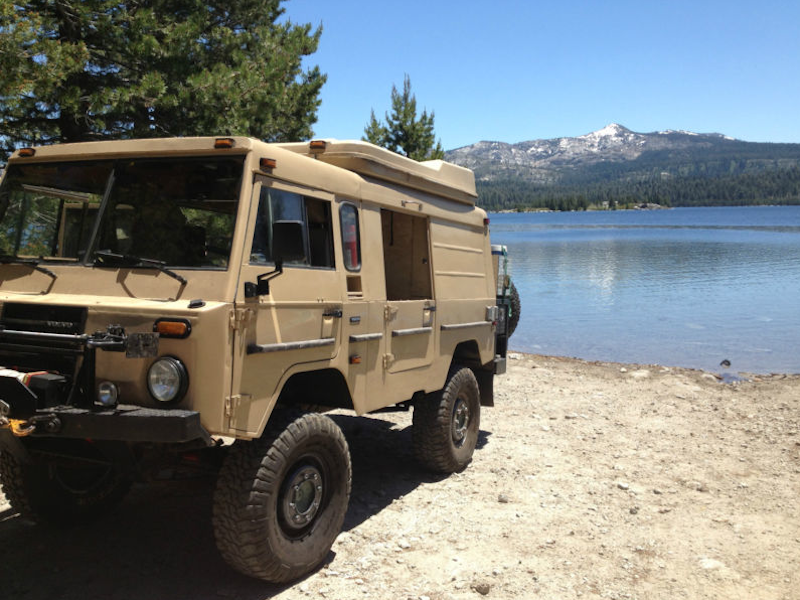 Originally constructed for the military in 1975, this Volvo was decommissioned and soon entered service in its new civilian life as this converted camper. 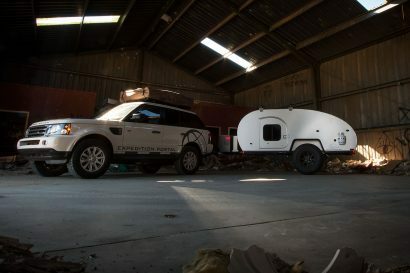 It features all the creature comforts of a larger vehicle like a popup roof with sleeping accommodations, an electric fan cooling system, hot water heater, butane stove, a sink, and even a flat screen TV, but stays in a small enough package to still keep the emphasis on traveling and not just sitting inside. Mechanical upgrades are plentiful as well with front and rear winches, upgraded power steering and oil cooling components, onboard air, braided lines, and a Webber side draft carburetor that can be adjusted quickly for changes in altitude. 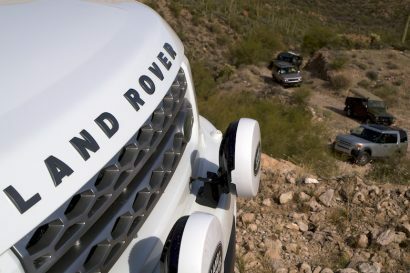 The best part about this capable truck however isn’t its fancy amenities or off-road accessories, but the price. It should be low enough to not only let you afford the vehicle, but the trip for which you bought it for as well. Lots of custom parts and accessories. Folders of documentation history. I’m the 3rd owner since its import into the US. I have receipts and notes from previous owners. You can search and find in almost every article mention of this particular rig. 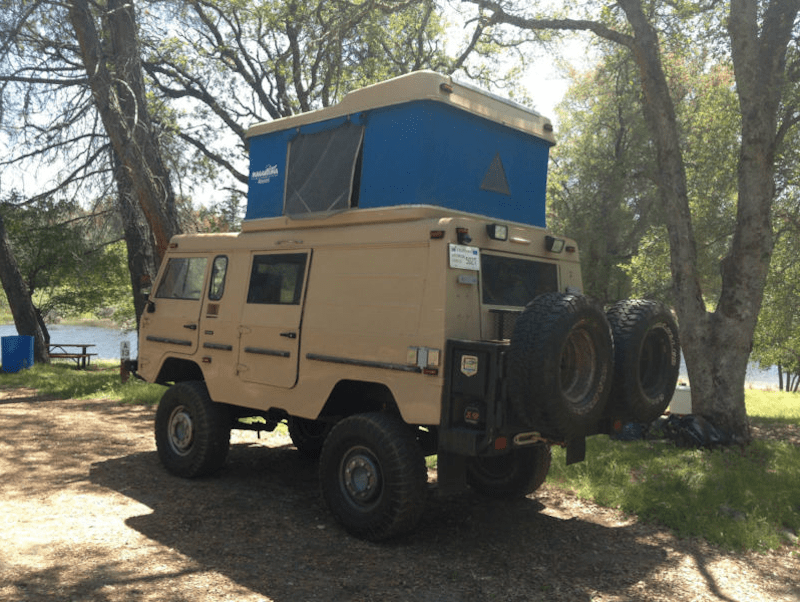 Camping, Rubicon, Mojave, Expeditions to Baja are all under the treads of this unit. Upgraded in all the right places, Power Steering, Oil cooling, On board Water, On board air tank and compressor, Webber Side Draft instead of the original Strombergs make it easy to tune and jet if required for high altitude. 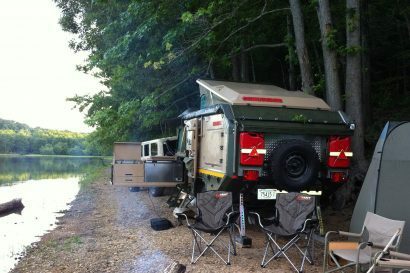 Cabinetry, Camper pop up, Storage for additional water and fuel. X2 spare tire carriers. Expedition steel wheels 7 Volvo original. And 4 Toyota Tundra wheels and custom adapters for easy interchange. Hi-Lift Jack and integral carrier. Front Supper winch, Rear X-9 winch, Dual, twin battery banks with isolator switches. Dual Electric cooling fans Pusher and puller configuration, Refrigerator, Butane Stove. mounted Flat screen, Hot water heater in place needs attachment to cooling system. King pins shimmed, All fluids flushed and clean. Power system monitors, tank monitors, Sink & faucet, 24volt system. with 12volt auxiliary system, 3rd center captains chair with Euro belt included. Rebuilt Starter. spare alternator. Front brakes new. Shoes, and Wheel Cylinders. Rear in a box with other spare parts. New poly polyurethane CV boots. Stainless hardware “Kit” New Bilstien shocks in the front. Rancho adjustable rebound type in the rear. Lots of new braided steel lines. Wheel servos renewed by previous owner. Trail Rall-eye light. Custom Bumpers and aluminum storage boxes. electric fuel pump. new vacuum lines. Motor is sound with a lower end rebuild by previous owner. Compression this week was (1-6) 155#, 155# 155# 155# 160# 155#. Vacuum gauges for monitoring brake circuit and 4×4 control reservoirs. Sound reduction under-body coatings throughout. very clean. This TGB 11 converted to a C303 version along the way with a v.i.n. and is registered/insured in California weighs in at over 7000# as equipped. Gets about 11 MPG. Very easy to drive. 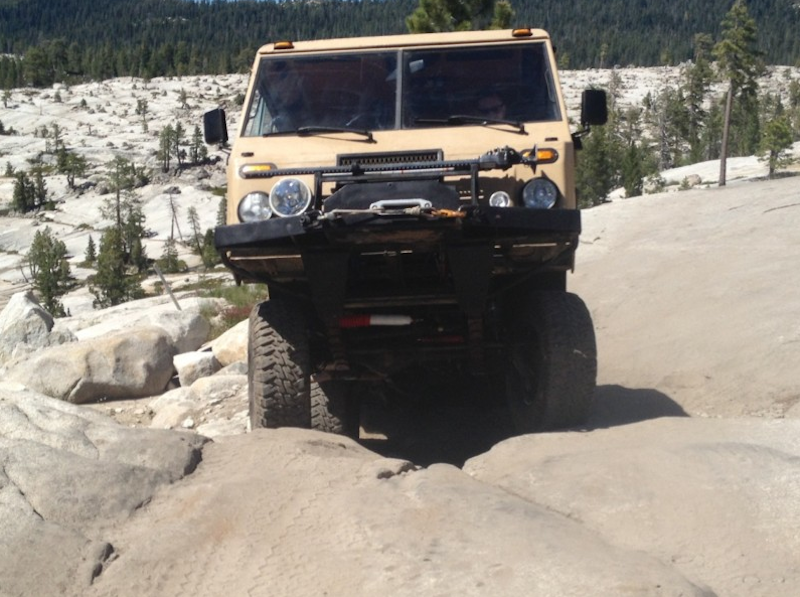 Fantastic turning radius. A real head turner, it chuckles at the Westphalia crowd. I’m sure there is more. There are some quirks as to be expected with this creation. Contact me with questions or clarification.